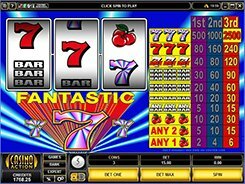 Fantastic Sevens is a classic-style three-reel one-line slot based on a megaspin system. 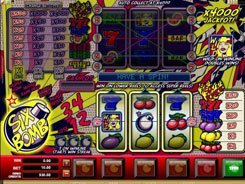 The symbols are of a typical fruit-machine set, with sevens, BARs and cherries, yet the game allows you to make nine spins in a go. This greatly enhances your winning prospects. Before starting off, you need to put a bet on the single line. 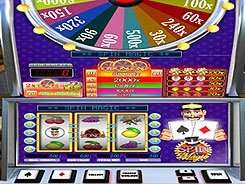 If you play for real money, every spin will cost you a minimum of $0.25 to a maximum of $15. 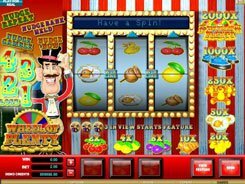 All in all, you can select whether to bet one, two or three coins per spin. After making a bet, click the Spin button. 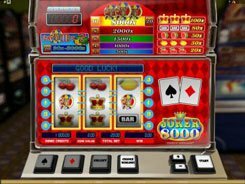 Once the reels have stopped, you might see a winning combination along the payline. 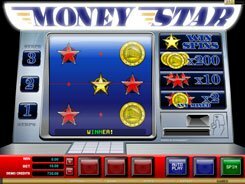 The most valuable combo is 3 Fantastic Seven symbols paying out 2500 coins, provided you have wagered the maximum of three coins per spin. The Red Seven is the second largest paid symbol that yields up to 240 coins. 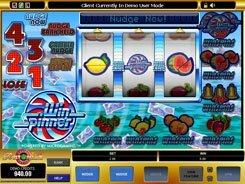 There are no wilds, scatters or free spins, still gamers find the emulator entertaining and fairly gainful.